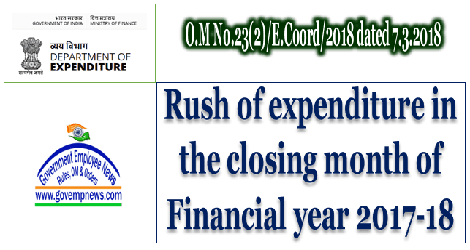 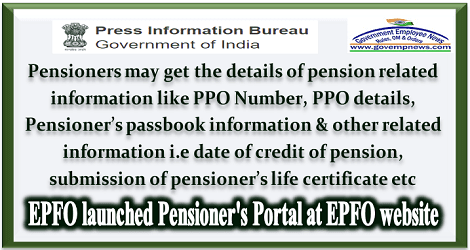 EPFO has launched the pensioner’s portal https://mis.epfindia.gov.in/PensionPaymentEnquiry . 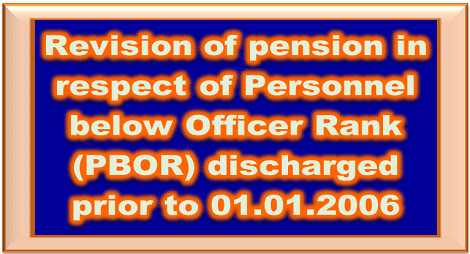 The pensioner’s portal is recently launched service, available at EPFO website by which all EPFO pensioners may get the details of pension related information like Pension payment order number, Pensioner’s Payment Order details, Pensioner’s passbook information & other related information such as date of credit of pension, submission of pensioner’s life certificate etc. 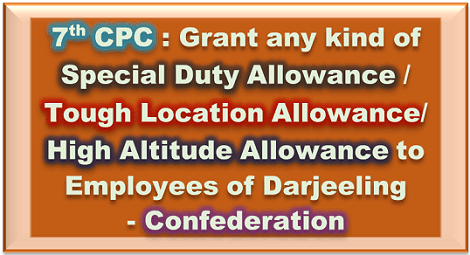 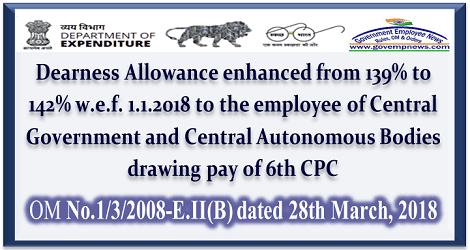 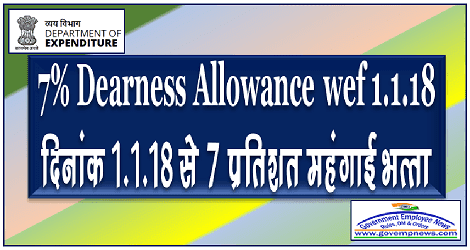 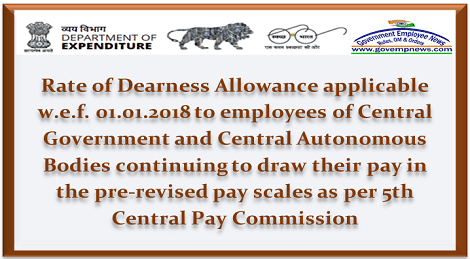 Dearness Allowance enhanced from existing 268% to 274% wef 1.1.2018 to the employees of Central Government & Central Autonomous Bodies drawing pay as per 5th CPC. 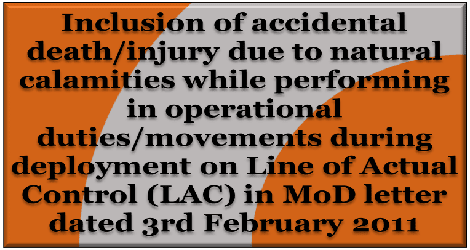 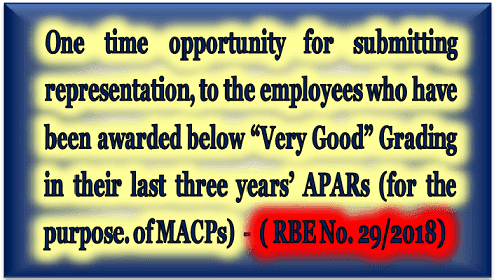 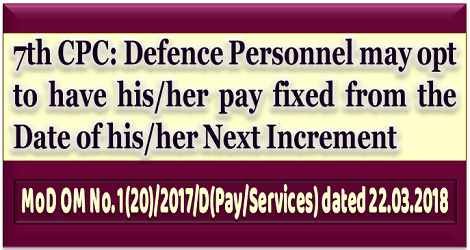 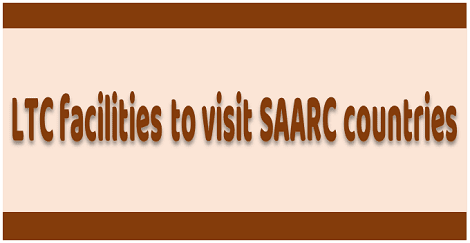 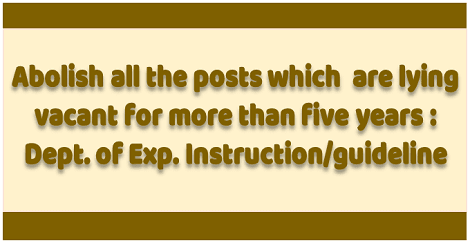 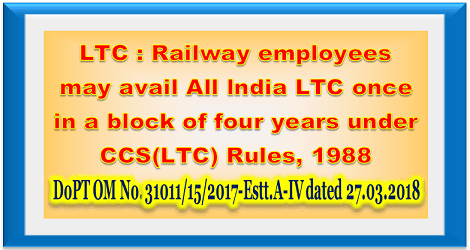 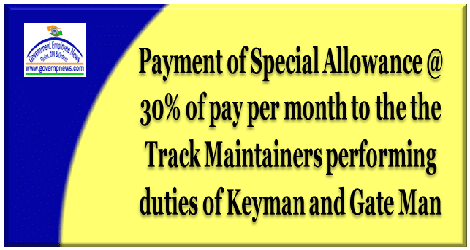 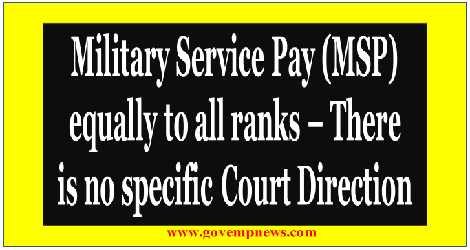 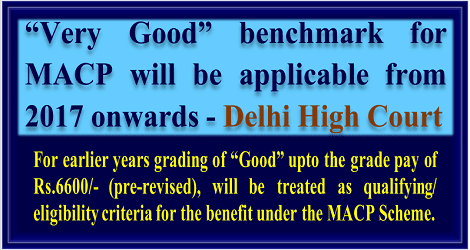 Sub: Modification in the AVC for promotion to Goods Guard in Grade Pay Rs. 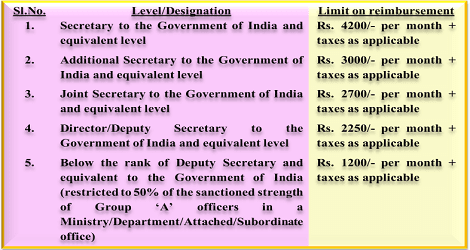 2800/-(Level- 5). 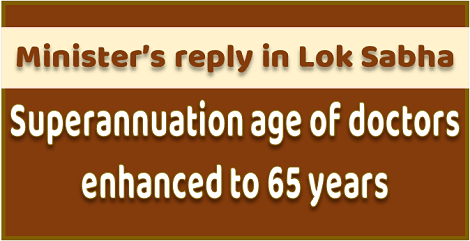 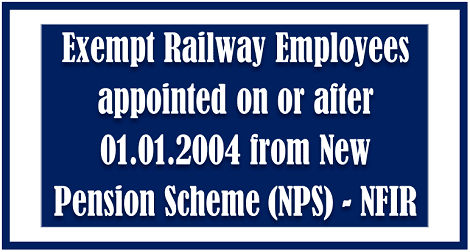 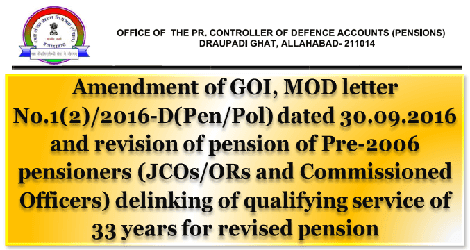 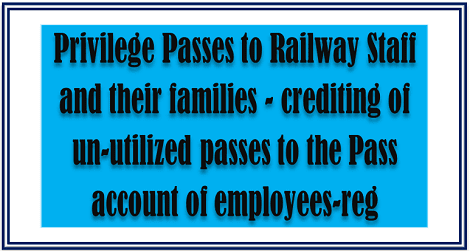 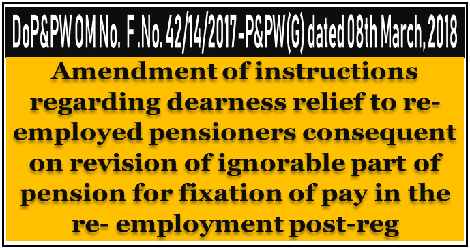 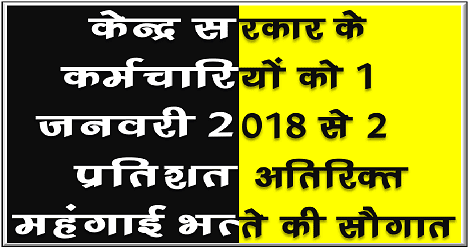 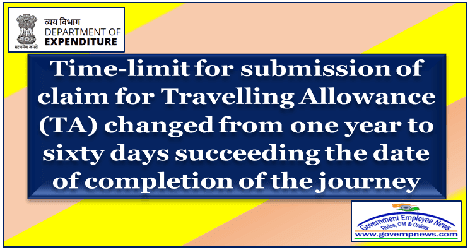 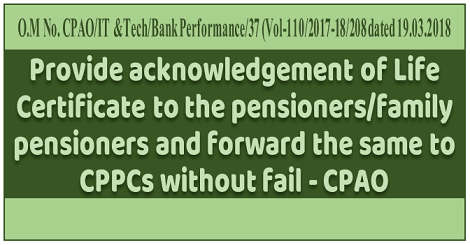 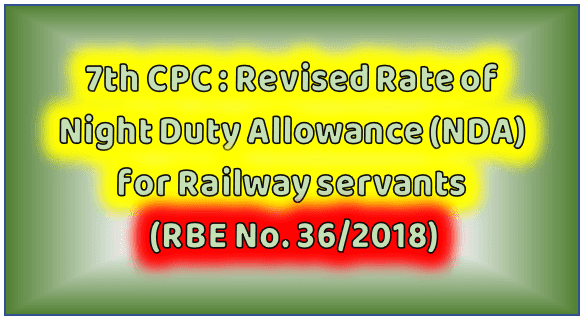 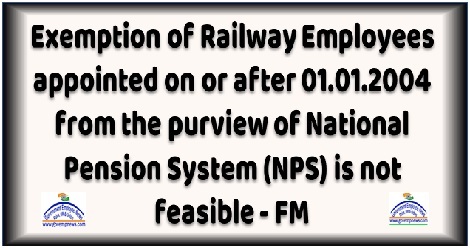 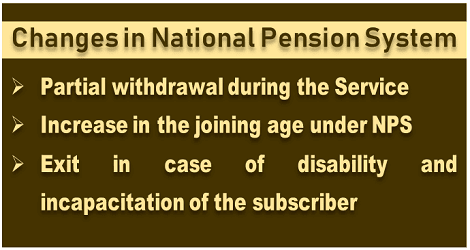 Amendment of instructions regarding dearness relief to re-employed pensioners consequent on revision of ignorable part of pension for fixation of pay in the re- employment post-reg. 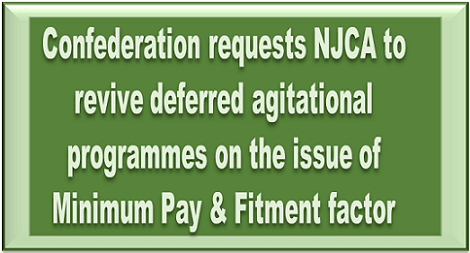 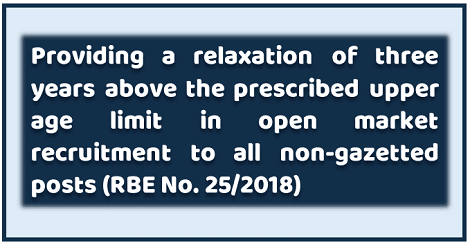 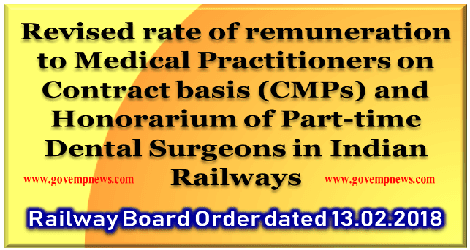 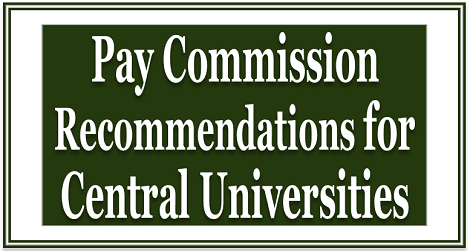 Sub: Revision of rate of remuneration to Medical Practitioners on Contract basis (CMPs) and revision in honorarium of Part-time Dental Surgeons. 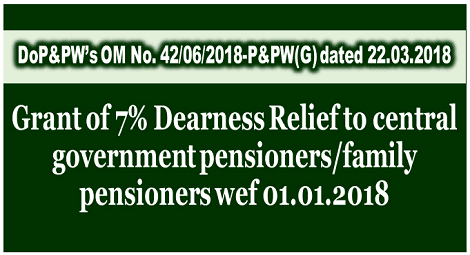 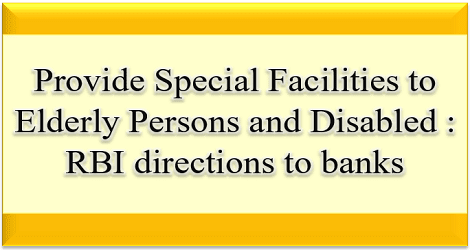 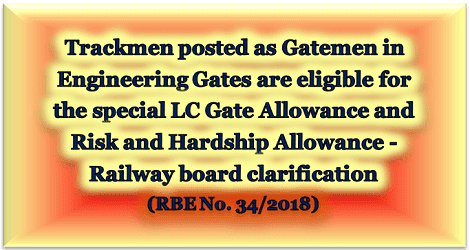 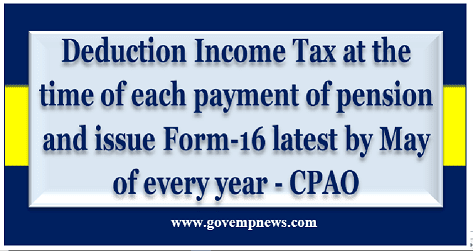 Subject: Grant of Fixed Medical Allowance to Central Government Civil Pensioners residing in areas not covered under Central Government Health Scheme – reg.